Hello and welcome to another one of my ROH TV reviews from yours truly. It's Nathan here again, and I'm sorry for the lack of reviews the past few weeks, but we are back at it again this week, so without further hesitation lets get right into it shall we? This week's show opened with a recap from last week and the actions by the Bullet Club in their attempt to ruin the ROH World Title main event. Adam Cole and The Young Bucks injured Kyle O'Reilly earlier in the show and they attacked him once again after his match with Lethal. It was then revealed that Adam Cole will never get another World Title opportunity as long as Nigel McGuinness is ROH Match Maker. Jay Lethal begins the hour as he responds to what happened last week, and Lethal tells the audience that what happened to Kyle O'Reilly wasn't right and that he didn't like having to defend his world title under those circumstances. Jay talks directly to ROH Matchmaker Nigel McGuinness asking him to change this week's main event into a six man tag team match to allow both him and Adam Cole into the match for later. Nigel accepts so the main event will be Adam Cole and The Young Bucks vs. Jay Lethal and The Briscoe Brothers. From there, we head to a commercial break, and then we see a video package of Steve Corino and Kevin Sullivan sitting together in what is apparently Sullivan's backyard. Corino asks Sullivan why he betrayed him and Sullivan tells him that BJ is the chosen one and it's not Steve Corino. He also tells Steve to get out of Whitmer's way. Next, we head to the ring where the Getalong Gang is with their leader P-Dogg. P-Dogg calls Moose out to the ring for a match. He arrives with Stokely Hathaway in toe and the first match is set to begin. This match was pretty much what you would expect from Moose and a relative unknown in P-Dogg as it was pretty much a squash. Moose took out the entire gang of misfits before finishing off P-Dogg with a flipping spear. Match Result: Moose defeats P-Dogg via pinfall after a flipping spear. After the match, Prince Nana makes his way out to the ring with former EOTR Live guest Donovan Dijak. Nana puts over Moose and his former apprentice Stokely Hathaway. He then challenges Moose to a match on behalf of Donovan Dijak and Moose gladly accepts which leads us to the next match of the night. First a squash match for Moose and now some real competition, we join this match after a commercial break. Moose hits a dropkick, which sends Dijak to the outside. Moose begins to take over on offense until Dijak turns things around in his favor with a chokeslam onto the ring apron. Back in the ring, Dijak hits a fireman's carry into a powerbomb for a near fall. Dijak climbs up to the top rope but Moose is able to dropkick him off of the top rope to the outside. Dijak quickly recovers and gets back into the ring before Moose hits a sitout powerbomb for a near fall. Both men get back up to a vertical base and begin trading punches in the center. Moose eventually hits the game breaker on Dijak, but can't follow it up with the spear as he missed it. Dijak is able to capitalize just long enough to hit Feast Your Eyes on Moose to pick up the win via pinfall. Solid match from both and it's good to see Dijak begin to get noticed even more than he already has. After the match, doctors are in to check on Moose who appears to be hurt, as Nana shakes Hathaway's hand. As Nana turns his back to Hathaway, he signals to Dijak who hits Hathaway with a bicycle kick to knock him out cold. We go to a pre-taped promo featuring the Addiction in front of the ROH banner, and Daniels states that ROH has the best tag team division in all of wrestling. He talks about how the ROH World Tag Team Titles and the IWGP Heavyweight Tag Team Titles are both under the ROH banner, and they also mention the Bucks being the junior heavyweight tag team champions. Frankie says everyone including the two tag teams that they just mentioned should worship them. Back from commercial, we see a recap of what took place at Global Wars and the ending to the Jay Lethal vs Colt Cabana match. We are then informed that next week's main event will feature Jay Lethal taking on Colt Cabana for the ROH World Title. From there, the Cabinet are seen backstage and they address their latest campaign to fix the Young Bucks problem. They are going to build a wall around them and make them pay for it with their T-Shirt sales money. 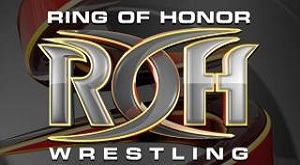 The Cabinet's goal is to rid ROH of any wrestler who they don't feel is fit to be in the company. Caprice Coleman takes a shot at Moose by saying that he would cut him, but Moose is already used to being cut. We head back to ringside for the introductions to the six-man tag team main event. Matt Taven joins the broadcast table. He starts off by immediately insulting the Bullet Club. Nigel then tells us that he has informed security to rush the ring if the Bullet Club tries anything like they did last week. All six men start the match by brawling until Lethal and The Briscoes get the advantage. The Briscoes and Lethal hit stereo suicide dives on the club to the outside of the ring. The brawl spills to the outside, Lethal and Mark set up a table to powerbomb Adam Cole through it, but the Bucks are able to stop it with stereo superkicks. The action goes back inside of the ring as the Bullet Club has now taken full advantage. They tag in and out while having Jay Briscoe isolated in their own corner for a few minutes. Jay finally builds some momentum and hits a samoan drop to Matt Jackson. Jay makes the tag to his brother Mark, who comes in and takes out all three members of The Bullet Club. Adam Cole finds himself alone in the ring as Lethal and The Briscoes begin triple teaming him. Mark climbs to the top rope and The Bucks recover and push him off of the top rope onto a table that was positioned at ringside. Mark is out and being checked on by officials. Back from break and Mark is hurt, but is now refusing to be taken to the back, and security is trying to get Mark to leave but he wont listen to them. Nigel McGuinness says that he doesn't want security to leave the ringside area so he tries to take Mark to the back by himself. Nigel leaves the broadcast position and eventually is able to get Mark to the back. Meanwhile back in the ring, the action is still going strong as The Bullet Club now has a 2 on 3 advantage. Lethal finds himself isolated in the corner while the Bucks and Cole take turns beating on him. Lethal eventually begins fighting back enough to make the hot tag to Jay Briscoe. Jay Briscoe comes in and clears house with a superkick party of his own and he then hits a neckbreaker on Cole for a near fall. We return to the action after one final commercial break and Jay Lethal is now fighting the bucks in the ring. The Bucks hit Lethal out, but Jay Briscoe comes in and takes out the Jacksons on his own. Adam Cole comes back into play by laying out Jay Briscoe, but Lethal makes his way to this feet to hit a Lethal Injection on Cole to get the win via pinfall. After the match, The Bullet Club attacked The Briscoes and Jay Lethal, and Cole grabs a pair of clippers and The Bucks and him proceed to shave Jay Lethal's head completely bald as the show goes off of the air for the week. Exciting hour capped off by an exciting main event, though I wasn't a fan of the first match, but still was solid to the show. That will do it for another ROH Review from myself, a very enjoyable episode that I would highly recommend to anyone who is a ROH fan or to anyone who is just looking to kill an hour with some good wrestling.